The Dodgers (103-58) have secured the best record in baseball, home field advantage throughout the postseason, and the most wins in Los Angeles history. The Rockies (87-74) have secured the second Wild Card spot. All of the spots in the first round of the postseason have been spoken for, so all games being played today are, for all intents and purposes, glorified exhibitions. But it’s also the last stress-free game we’ll have until Spring Training. So let’s enjoy it. Things are gonna get real in a mere five days. Despite what Dave Roberts said a couple of days ago, Ross Stripling (3.86 ERA, 3.65 FIP, 3.99 DRA) is, indeed, starting this game. It will be his second start of the year, although he’s only expected to last a couple of innings. This will mark the fourth time in Stripling’s career that he’s pitched at Coors Field. In 10 IP, he’s allowed three runs on 11 hits and two walks. Most recently, he pitched a clean frame against the Rockies in his inning of work in Friday’s game. Rookie southpaw Kyle Freeland (4.06 ERA, 4.57 FIP, 5.92 DRA) is starting against the Dodgers for the fourth time this season. In 17 IP, he’s allowed seven runs on 18 hits and 9 walks while striking out 12. 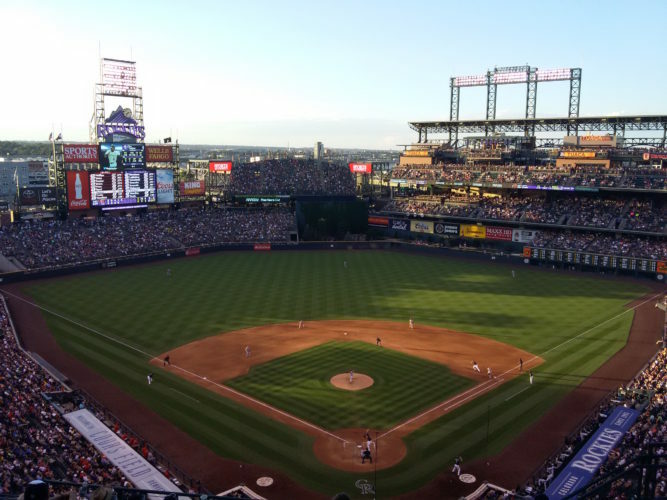 The Rockies won his April start in Los Angeles, and split his two starts against the Dodgers at Coors Field. Today’s Dodger lineup is actually pretty normal looking, although we shouldn’t expect the starters to last too long (and it may be Kenley Jansen making the moves). Perhaps the only real thing to watch for today is whether or not Cody Bellinger will make it to 40 home runs. He’s been stuck at 39 for a week now, and while he’s already got sole possession of the National League rookie record, it would be cool to see him reach the 40 mark. Austin Barnes couldn't recall a more painful low-blow foul ball than last night's. Said he could play today, but probably won't. Rich Hill, lined up to be Game 2 starter, will throw a sim game Monday. Day off for rest of club. Darvish sim game Wednesday. Roberts doesn't rule out Wood in bullpen early in series, then starting later in series. …it’s still a bit up in the air, but there’s a chance he’ll get work both out of the bullpen and as a starter. I’d very much like that to be true (and for the team to not consider it necessary), but we’ll see.